May 19th, 1536 | Wendy J. Dunn, Award-Winning Author. Commend me to his Majesty and tell him that he hath ever been constant in his career of advancing me, from private gentlewoman he made me Marchioness, from Marchioness a Queen and now that hath left no higher degree of honour he gives my innocency the crown of martyrdom ~ Anne Boleyn. The nineteenth of May, 1536, a perfect spring day. The sky blue and the weather warm, birds sing their courting songs and flowers bloom. But the sweet fragrance of budding flowers compete with another sweet but sickly smell: the smell of blood and corrupting flesh. At long last, the carpenters have put down their tools, content with their handiwork. All night, they had laboured to build a high scaffold for a crowned Queen of England. Very soon, she will climb its steps, prepared to take her final breath. George Boleyn died bravely. But then so did all the men convicted with the queen. Today, many in the crowd wondered if it would be likewise with Boleyn’s sister. When she first arrived at the Tower, after her arrest, her courage had deserted her. But not for long. Her bravery at her trial had impressed even those who hated her. No one, not even the man who signed her death warrant, was ever sure of what this woman would do. Some wondered if this was indeed the crux of the matter, and if it was this uncertainty that had brought her and those others close to her to this dreadful, bloody end. It was time. Followed closely by her attendants, Anne Boleyn, her head held high, mounted the steps to the platform. Reaching it, she turned to face the crowd, amongst them stood two dukes, one the king’s son and the other his brother-in-law. All the men here were carefully invited guests of the king. One of these guests said later that he had never seen her look so beautiful. Anne’s attendant helped her to remove a dark-grey damask cloak. Beneath this, she wore an under-dress of deep crimson. She stroked her slender neck with trembling fingers. Clad in black from head to toe, the expensive swordsman from Calais, (no clumsy axeman for this former bedmate of the king) knelt at her feet. “Madame, I crave your Majesty’s pardon for I am ordered to do my duty, ” the Swordsman said in French, a language Anne Boleyn knew so well it could have been her first. Her attendant led Anne to the block. There she knelt, and straightened her shoulders, raising her hands to the sky. Her prayer finished, Anne held onto the block to steady herself. The executioner muttered quietly to his assistant, and his sword – hidden from sight behind a straw bale – was put into his hand. With all the skill of a sure expert, the blade sliced through the air, and sliced through Anna’s slender neck. 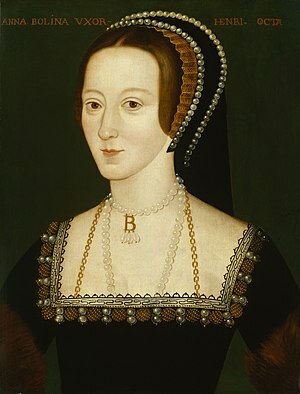 Verily, a quick end for Anne Boleyn’s turbulent life. Farewell to joy, adieu comfort. Ye seek for that shall not be found. IN THE WINTER OF 1535, fourteen-year-old Kate Carey wants to escape her family home. She thinks her life will be so much better with Anne Boleyn, Henry VIII’s second wife and the aunt she idolises. Little does Kate know that by going to attend Anne Boleyn she will discover love and a secret that will shake the very foundations of her identity. An attendant to Anne Boleyn, Kate is also swept up in events that see her witness her aunt’s darkest days. By the time winter ends, Kate will be changed forever.